Wise Folder Hider PRO - Hide and Encrypt Your Folders or Files! 12-month license / 1 PC free for The Windows Club users. 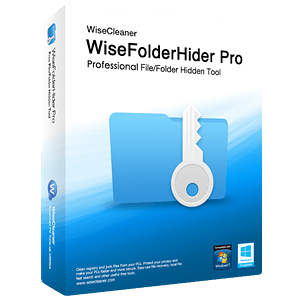 Wise Folder Hider Pro adopts advanced encryption algorithm, providing much more enhanced security than the free version for files and folders on your Windows PC. Wise Folder Hider Pro defends your private files from being read even when found by a disk tool. Why choose Wise Folder Hider Pro?